Description: With Angie and Tate's wedding just around the corner, it's a happy--but very busy--time for Mel. 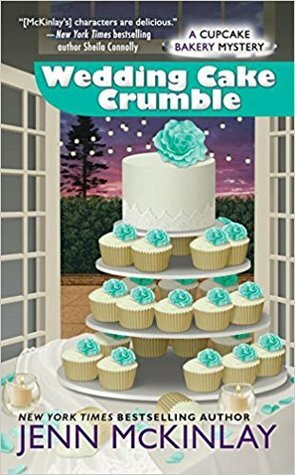 Not only is she doing double duty as both the maid of honor and best man, but her bakery, Fairy Tale Cupcakes, has just been hired to provide cupcakes for a famous author's book signing. But when the author turns up dead, it's just the start of a murder mystery that Mel must solve. Why I Picked This Book: I read the first few books in this series and really enjoyed them. My Impression: There’s so much fun stuff going on here! Not only are Mel and Angie busy getting all the last minute wedding stuff done but they get roped into catering an event involving a seriously gossipy pseudo-fiction book where more people have reason to kill the author than don’t. I do love a mystery when suspects and motives are falling out of the woodwork. But before we even get to that murder there’s the question of just who is killing off Angie’s wedding vendors and does it have anything to do with her. Since this is book #10 in the series and Mel and Angie have stumbled over at least a dozen dead bodies this is a very real possibility. This is an entertaining mystery from start to finish with lots of clues and red herrings and still manages a surprising ending. While the characters and the world that surrounds them feels very well rounded and detailed I had no problem immediately feeling part of it even though it’s been quite some time since I read the first two and quite a lot has happened since that book. If you’re new to the series I think you I could jump in here with no issue. 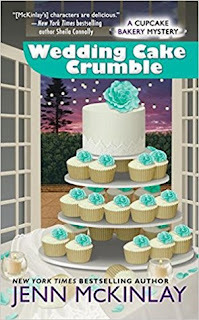 This is a fun mystery with a great group of characters, a solid plot, a dash of wedding planning, and yummy sounding cupcakes. Now if you need me I’ll be making the chocolate bourbon cupcakes as found in the recipes in the back of the book! Would I Read More of this Series/Author? Absolutely! I have the earlier books to catch up on and I’ll be looking for the next one! Would I Recommend this Book? If you’re a cozy mystery fan you must give this series and this author a try. I REALLY need to add this author's books to my cozy TBR list. She has such great titles and I've been meaning to try this series for awhile now. Great review! Oooh! I need to check out this series! !